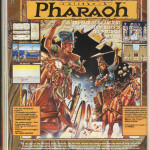 A very short entry which was flagged up by Ross Sillifant, as it was listed within ACE magazine as coming soon for the Spectrum, Amstrad and C64 – even though the adverts suggest that only 16-bit versions were in production. 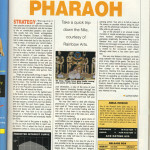 The game was a strategy game which did ok in the press at the time. It is very likely that ACE got the listings incorrect – but can anyone confirm so that we can close the case?